2013 is certainly a big year for fans of Doctor Who. New Tardis, new companion, new outfit, new intro, and most importantly, the 50th anniversary of Doctor Who. Doctor Who is the BBC's crown jewel, and has been for quite some time, so with the 50th anniversary coming up, they are going to be pulling all the stop on this. 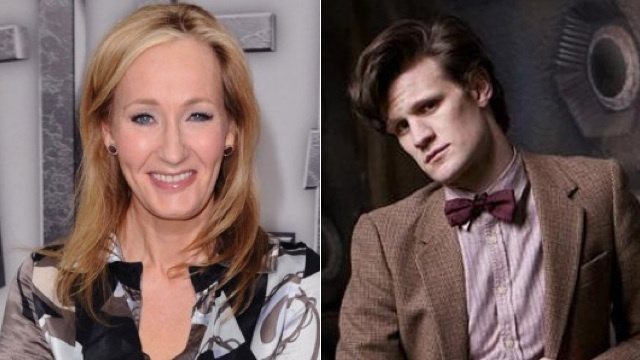 The BBC has announced that 11 short stories will be written by famous children's authors-each story focusing on each of the 11 incarnations of The Doctor, from the 1st Doctor played by William Hartnell, to the current 11th Doctor played by Matt Smith. The first children's author will be revealed on the BBC Worldwide Doctor Who Facebook page on Monday 7 January, followed by the first story on Wednesday 23 January. It would certainly be interesting to see how the mind behind the magical world of Harry Potter could tackle the universe of Doctor Who.